At the 2005 Liquorland International Top 100 Wine Awards in Auckland Waipara Hills’ wines were awarded four trophies including Champion Winery of the Show. 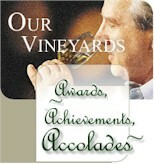 Trophies were awarded for Champion Pinot Noir, Champion Gewurztraminer, Champion Pinot Gris. 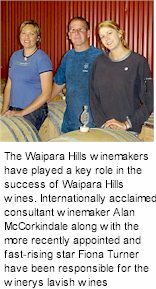 Launched as a public wine company in 2001, Waipara Hills was awarded the accolade of fifteenth fastest growing company in New Zealand by Deloitte’s in 2004. Production From 6000 cases in 2001 to over 89,000 cases in 2006 Waipara Hills’ growth has been spectacular. 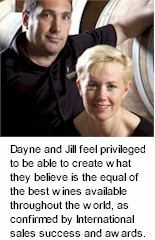 It is with great pleasure that Dayne and Jill Sherwood introduce their range of superlative wines to you. Both Dayne and Jill have been involved in the New Zealand wine industry since the 1980s, experiencing the dramatic growth of demand globally for New Zealand wines. Dayne and Jill feel privileged to be able to create what they believe is the equal of the best wines available throughout the world, as confirmed by International sales success and awards.